With so many materials needed to run a bee farm, many beekeepers look for ways to cut down costs. Packages of bees can cost well over $125 dollars, which can add up as you build out your colonies. This is why many beekeepers turn to the wild to find swarms of bees to populate their farms. Here’s an in-depth look at the safest method for capturing a swarm for those beekeepers looking to save money. For most people, the idea of a honey bee swarm is a nightmare. The term “swarm” has been used by non-beekeepers for generations as a grouping of bees. Most think of a bee swarm as an aggressive grouping of bees that will come chasing after them if angered. However, a true bee swarm actually refers to a group of bees under very specific biological circumstances. Swarms form when a colony of bees becomes too large to house in one hive. 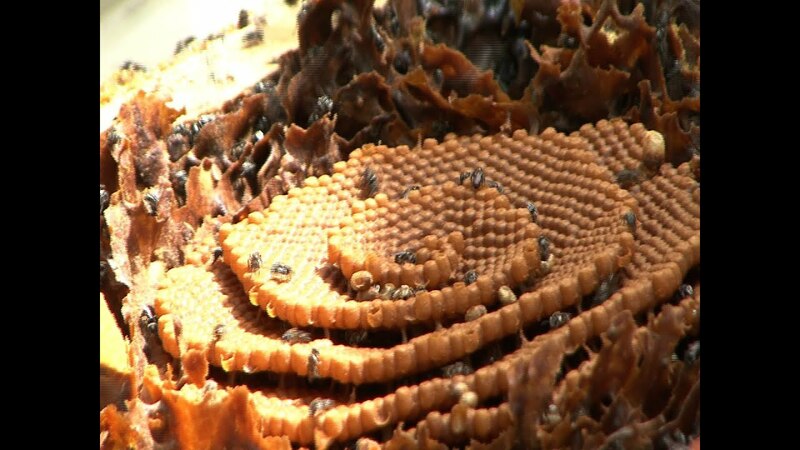 The colony will split into two in order to create another hive and continue to propagate their species. These bees fill their stomachs up with honey and leave their old hive with a Queen in search of a new location to build their hives. Once the swarm finds a new location and begins to start producing comb, the swarm begins to develop into a new colony. While many may see a grouping of bees in the wild and think they can just be taken, there is a huge difference between a swarm and a complete colony. If what you thought was a swarm turns out to be an established hive, it can be nearly impossible to successfully relocate the bees without the proper experience. While even a beginner can catch a swarm, it takes a careful eye to identify whether or not the swarm has the potential to be relocated. 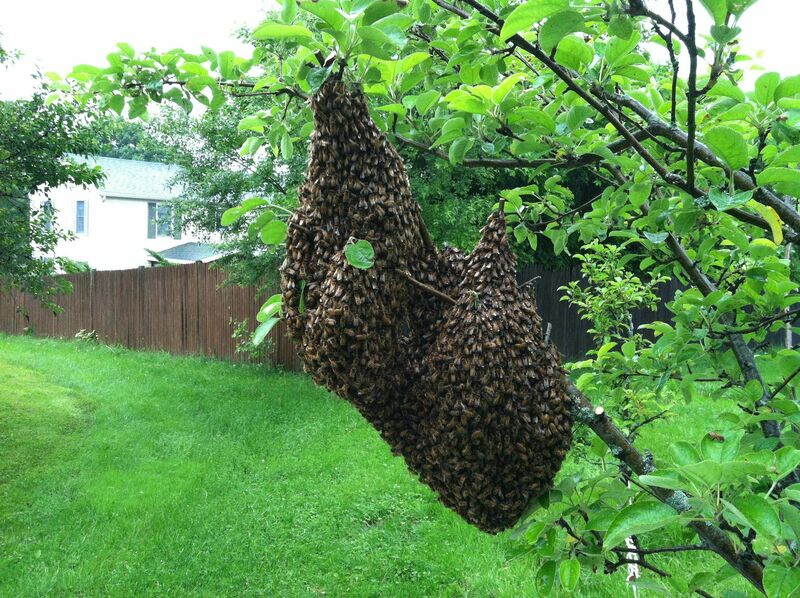 When looking for a swarm, you’ll want to find a cluster of bees clinging together that form a “beard,” typically found hanging from branches. Avoid bees inside hollowed trees, as they are often harder to get or part on an established hive. Bee swarms can be difficult to catch, as they are often moving around from place to place. Some swarms may only land for a few hours before moving on to the next scouting location. This means you will have to move quickly in order to capture the swarm. Swarm traps are one of the safest and easiest ways to catch a swarm. 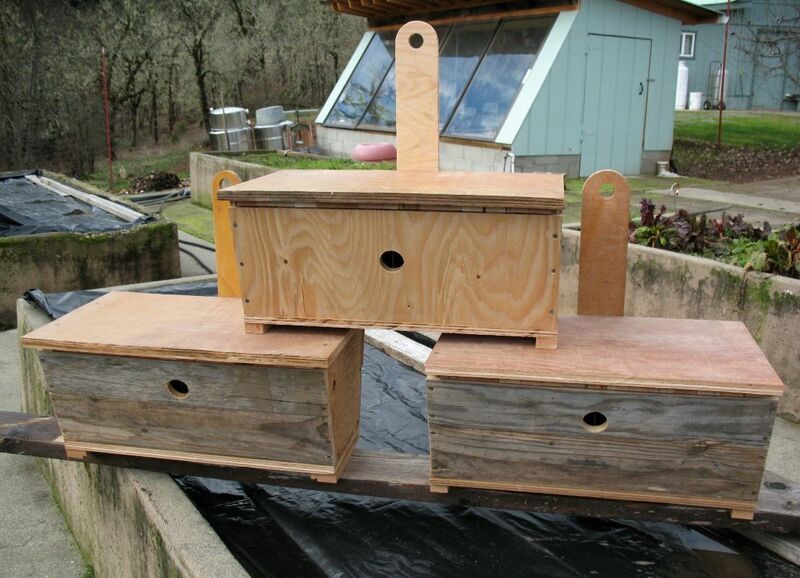 Swarm traps are large boxes, unlike the ones that make up the traditional backyard beehives. Beekeepers put out these traps on high branches in hopes that a swarm will stop and take temporary shelter in the box. This gives the beekeeper the opportunity to capture the swarm and relocate it to their bee farm. When choosing a box for your swarm trap, you’ll want to make sure it’s durable, lightweight, and large enough to house an entire swarm. 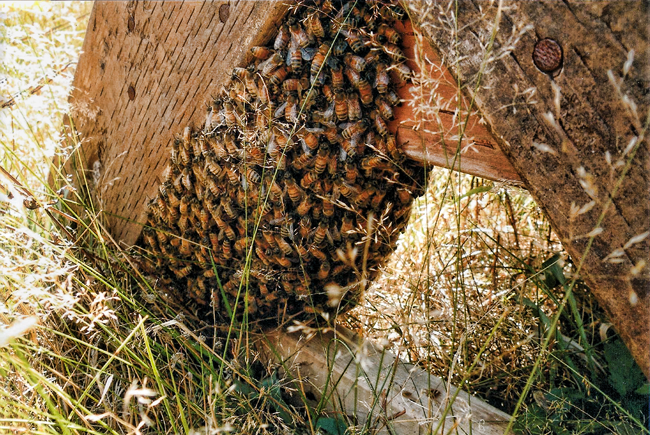 Some beekeepers use pre-established Nuc hive boxes to try and coax the bees into accepting the trap as a potential location, though they can often be too small to fit an entire swarm. If using a swarm trap to catch bees, be sure to visit the traps frequently. You want to be able to capture a swarm as soon as possible or risk the bees moving on in search of a better home. Besides swarm traps, one of the most common ways to catch a swarm is by easing them into a container. While most swarms tend to be docile, it doesn’t take much to make a bee react aggressively. This is why you must take great care when easing a swarm into your container. When capturing a swarm, the object is to get as many bees into the container as possible as quickly as possible. You can do this by scooping the bees out, shaking them gently, or by clipping the entire branch and lowering it carefully into the box. While there is no one best method, keep in mind that you want to be able to get the majority of the swarm in your container on your first attempt. The Queen is the lifeblood of a swarm, as she will be the single source of all new bee life once the hive has formed. The Queen is so important to the swarm that the rest of the bees literally form a cage of their bodies around her for warmth and protection. If you manage to get the majority of the swarm into your container, there’s a high chance that the Queen is already inside. If she is not, you will be able to tell after a few minutes as the hive begins searching for her. If the bees are rapidly entering the container and spreading out on the top, it’s likely that the Queen is already inside. Once the bees are in the container, you will need to wait a few hours for the rest of the swarm to gather. This will ensure that any worker bee out foraging can come back to their swarm. It’s suggested you wait until dawn to move the swarm so no bee gets left behind. After successfully capturing the swarm, you will need to quickly move them to their new hive location. Experts suggest spraying the swarm with a sugar-water solution, which will cause the bees to cling together harmlessly. Once you have your bees installed into the new hive, you will want to leave the bees alone for a week. This will allow them to start production of comb and brood to create an established colony.